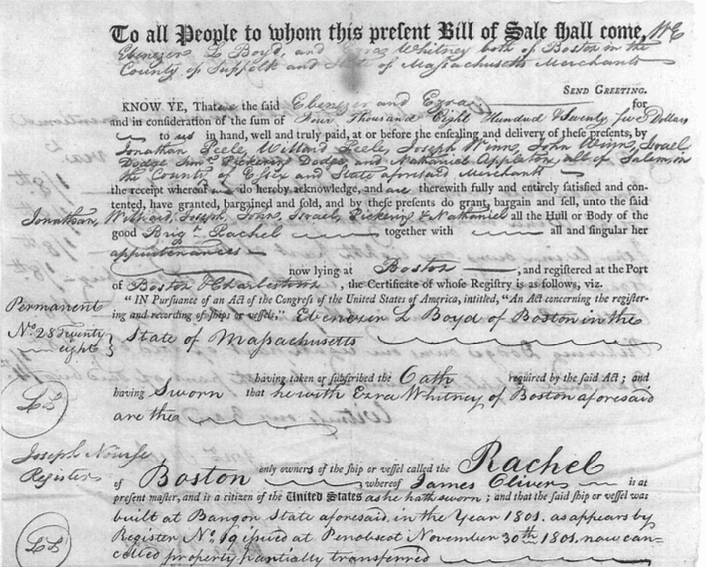 This is the original agreement between the builders of the Ship Rachel and its new owners. Click on the image below to view the full document in a new window. Source: "Peele Family Papers, 1753-1871", Box 4, Folder 1, MH 5, Finding Aid; Phillips Library, Peabody Essex Museum, Salem, Mass.